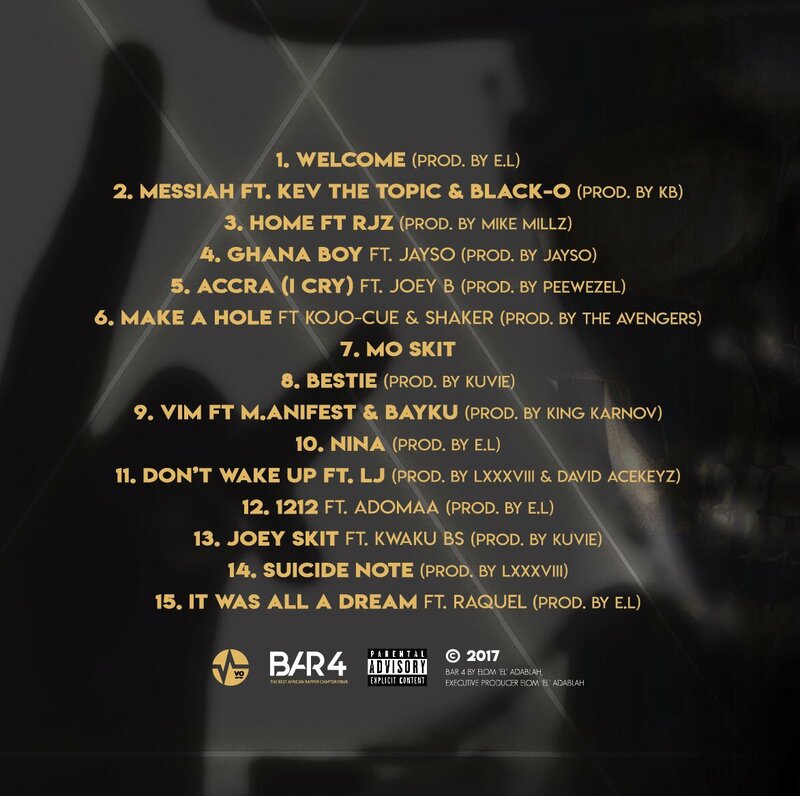 After making history with his BAR 4 concert, multiple-award winning rap star, singer and producer, E.L has finally released his much anticipated BAR 4 album for purchase and streaming. The 15-track album has tracks like; Make A Hole, Accra (I Cry), Ghana Boy, Home, It Was All A Dream, Vim etc. including features from M.anifest, Adomaa, RJZ, Jayso, Joey B among other gifted artists. “This is my most unhindered B.A.R and hope people will see it,” E.L said. This album is unlike any other musical project from West Africa that you’ve listened to and for a bit of reference checkout out the past B.A.R projects. 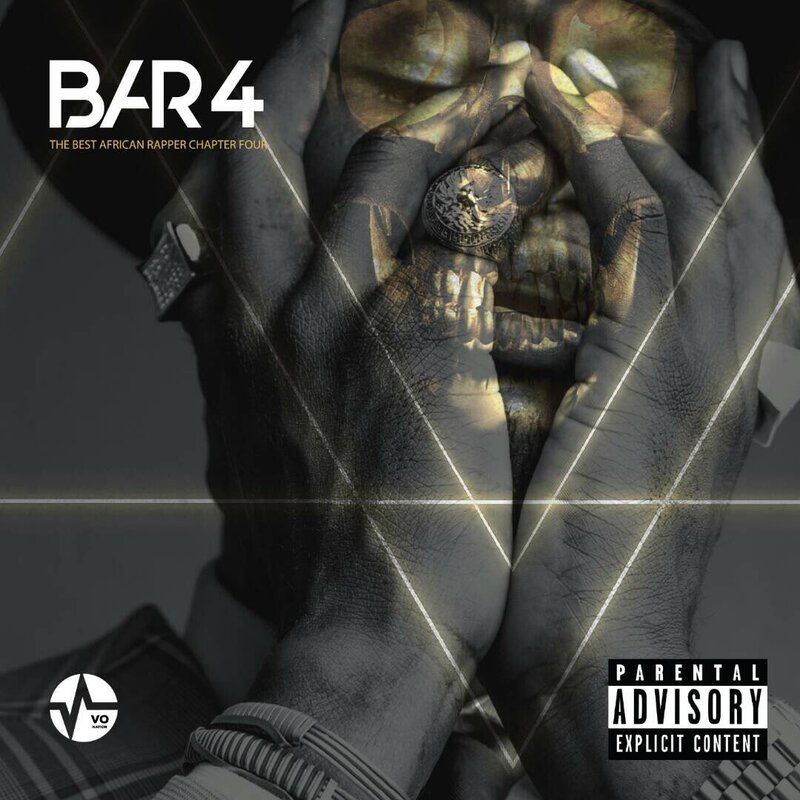 Released via E.L’s new imprint VO Nation Records, the B.A.R 4 album is available on all digital stores worldwide including Apple Music, iTunes, Spotify and Aftown.